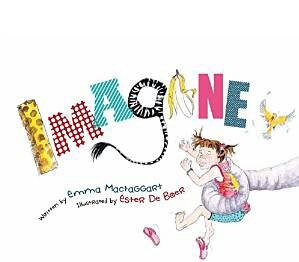 Imagine, Emma Mctaggart (author), Ester De Boer (illus. ), Boogie Books, 2015. What would you do in your most fantastical of daydreams? Totally let your imagination run free…where would you go? 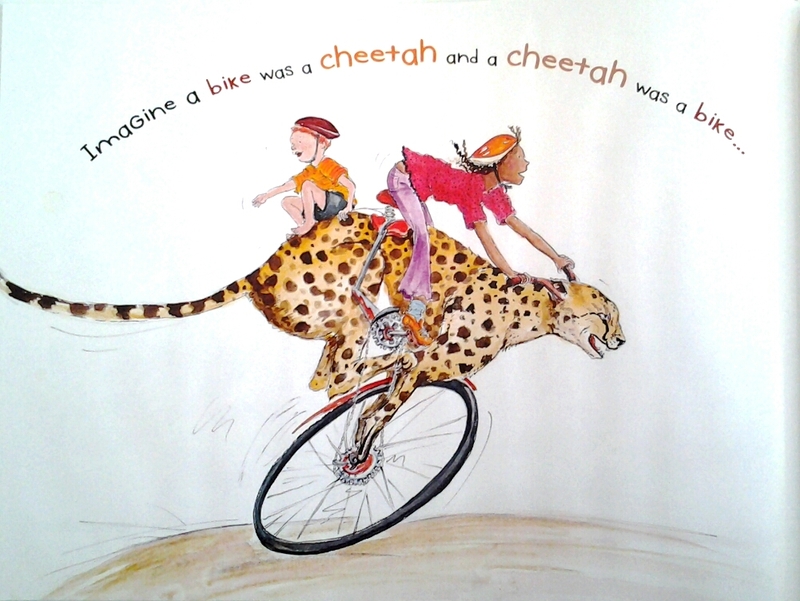 In Emma Mactaggart and Ester De Boer’s explosive ‘Imagine’, we are taken on a zoo adventure wilder than you could ever devise! Utterly ridiculous! Absolutely preposterous! So much fun! We are given a little taste of individual children brainstorming their interactions with animals in the most unusual, extraordinary ways. 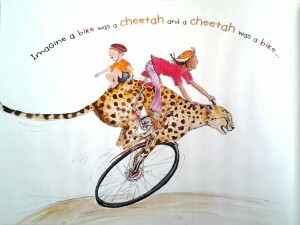 From tall giraffe high-chairs, to bathing in a hippo, riding in an elephant car, using an ostrich as a broom, and speeding along on a cheetah bike. Now children, don’t frighten those animals with those rip-roaring imaginations! The repetitive theme and sentence structure, along with the interactive nature of the story will be sure to hook its readers along for the ride. ‘Imagine’ is creative and refreshing, perfect for children of primary school age to delve in to again and again. 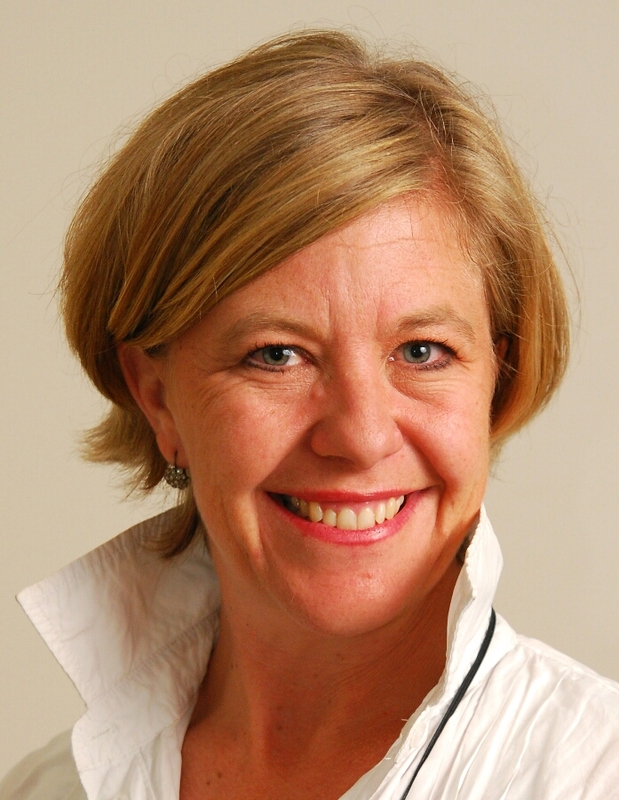 Award-winning independent publisher and author, Emma Mactaggart is an inspirational literacy advocate for young people, establishing the Child Writes program which enables students to create and publish their own books. 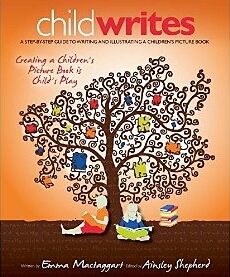 She is the author of ‘Child Writes: Creating a Children’s Picture Book is Child’s Play’, which is a valuable resource for aspiring children’s writers and artists.